Dear Lord, Sometimes I get intoxicated with the idea that I have to know exactly what happened and who is to blame and how I can fix it. Then you come along and say it’s to your glory to conceal a matter. It’s better to quietly make sure the sin is confessed and forgiven and not to sneak about the incident or involve others who do not need their hearts distracted by it. Oh God help me to keep myself and those around me looking up to you in faith and out to each other in love and forgiveness. Stem the tide of my morbid curiosity about everyone else and teach me to let go of judgements about people and problems that do not concern me. Thank you that you give us all grace in catastrophes we cause by our own sins and weaknesses. Love leaves one’s own sins and the sins of others at the foot of the cross and gets on with living a care free life. Dear Jesus, Because the faith you have taught us is wrapped up in words, it’s easy to get derailed into thinking that if I have the correct doctrine then I have the correct life. But here you link the truth I believe to the life you lead me to live. If I simply seek to be right in my head without willingly allowing my life to come under your leadership. I am deceiving myself into thinking knowledge defines faith. I can also get caught up thinking it pays to be right. All of this is sterile hairsplitting that does nothing for my heart and life. Oh, Jesus, spare me from shallow theological debates that lead nowhere in my sanctified life. Instead help me to practice my faith in love for you and people. Amen. God’s teaching about Christ always leads us to behave like him in ways we never imagined. Dear Jesus, Like everyone else I am duped into believing that the more I have the more content I will be. Like a carrot hanging from a stick out in front of me, I get tempted to pursue an elusive contentment. But here you give me the answer. 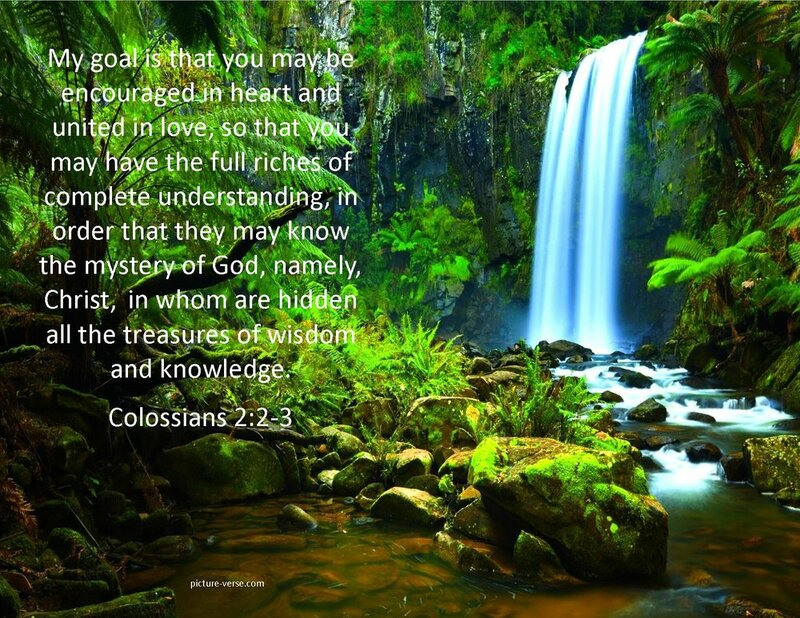 When I am satisfied with the godliness you give freely through the gospel and learn to be content with what I have from you both spiritually and physically, then I have great gain for my heart and soul. I am at peace and I feel settled, rich and strong. I don’t need anything to feel satisfied. I am already satisfied to know I am owned by God and destined for glory. Everything I have now pales when compared to what you are promising for the future. I can weather losses with spiritual optimism about life with you forever. My life is truly hidden with you by faith. Thanks for giving me contentment freely that I could never get by ardent effort. Amen. Contentment is not getting what you want but wanting what you get from God. Dear Heavenly Father, Your friend Abraham is one of the greatest mentors of faith that I have ever known . He went even though he did not know where. We waste so much time waiting to see where we think you are leading when you love to hide the details. You want us to put our hand in yours. Instead of charting a course for myself and calling it your plan, I will let you drive where you want me to go. I want to live by faith that doesn’t have to see to step out. Shed light on my next step and I will go that direction even if the following steps are still hidden to me. I do not have to know exactly what you are doing, only that I have you guiding my life. Give me the faith of Abraham so I am truly your friend and not your boss. Amen. Why waste time being overly disappointed or overly thrilled with anything in our temporary life, when our permanent home in heaven is being built by God himself. Lord Jesus, The world should be able to see that I am yours and that I follow you. You tell me that I am to let my light shine before men that they may see my good deeds and praise my Father in heaven. You tell me that I am to be salt in this world, both seasoning and a preservative in this world headed for destruction. You tell me that, since I live with a hope that the world doesn’t have, people will notice and ask me about the hope that I have in me. Lord Jesus, forgive me for trying to blend in. Forgive me for living a life that doesn’t show the faith that is in me. People should be able to tell that I’m yours. Forgive me because they often don’t. Today, grant me strength and wisdom to stand out in this dark world. Amen. Lord Jesus, There are parts of my life that I have very much in control. I’ve learned to avert my eyes away from many things that I shouldn’t be looking at. I’ve learned to stay away from places that lure me into temptation. There are many things in my life that I have brought under my control but my tongue remains untamable. I sing on Sunday. I pray in the morning. I praise you and teach others to know you. But then I go home and complain about people. Then I go off to grumble and complain about people who hurt me. I say all kinds of evil, hurtful, and shameful things about people behind their back. And sometimes I even say it to their face! Sometimes, dear Jesus-and I say this to my great shame-all kinds of vile things come out of my mouth. People must look at me sometimes and question how I can be even be a Christian. O Lord, Jesus, all I can say is forgive me for my vile mouth and give me your strength to control my tongue. Don’t let it be the destruction of me. Forgive and help me, dear Jesus. Amen. Dear Heavenly Father, It’s easy for me to get discouraged when I do not see the fulfillment of your promises to bless me as soon as I expected. Sometimes I wonder if you will turn away from me because I am so easily discouraged. But then I see in this passage that you commend Sarah for her faith, even though she pushed Hagar on Abraham because she doubted, and she laughed when you sent visitors to tell her she would have a baby in a year. You saw her imperfect faith and you counted it as righteousness. Oh, how little faith you will commend! I do believe in you Lord and I believe in all of your promises too. But in my heart lurks doubt too. 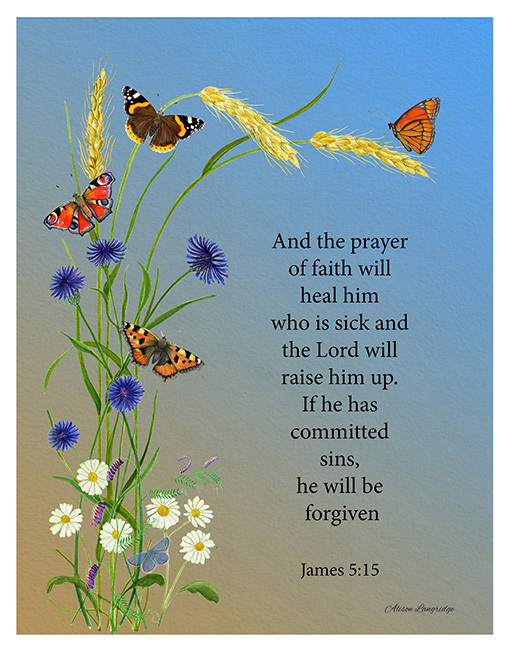 Help me overcome my unbelief and thank you for fulfilling your promises in spite of me. I will not let Satan lead me to despair because I know you count my weak faith as righteousness. Amen. It only takes a thimble of faith to grab a life preserver when you are drowning. Dear Heavenly Father, Faith makes us different. You gave Moses a wealthy upbringing with all the riches of Egypt but you never intended him to exploit that for himself. You wanted him to use it as a leader to be prepared for bigger things. He understood your purposes and was willing to give up an easy life to accomplish great things with you. He led Israel out of captivity and he signed up for the last 40 years of his life to be hard labor. I want to be like Moses, living for you no matter the cost. I cannot do it on my own. Give me the will and the power to overcome the self indulgent messages of my culture to become a servant who burns brightly for you right to the end of his life. Amen. God went all in for us. Let’s go all in for him too. Dear Jesus, I love it when Paul tells us his motives were that people be encouraged in heart, united in love and growth in understanding of you. Too often I have more pedestrian goals for my family and church; like attendance, and conformity and progress on projects. How shallow! How worldly! But to want them to grow in love, unity and spiritual understanding-that guides my leadership in a much deeper direction. It makes me prepare to teach them in their hearts more faithfully. Help me grow in these areas first. Use your Word to take me to new spiritual heights. So, from there I can teach others. Amen. Through his word, God restores us to his own likeness and reverses the fall. Dear Heavenly Father, I have been brokenhearted about several things in my life. In time, with the strength of your word and people who knew how to love, you have healed my brokenness. I know I will be broken again and you will heal me then too. Your promises are my cell companions when I am confined to my hurts. I cling to them and let them speak to me. They are like a light gleaming through the small window at the top of the cell. Thank you for being the God who heals our hurts. Make me a healer of hurts too. Amen. 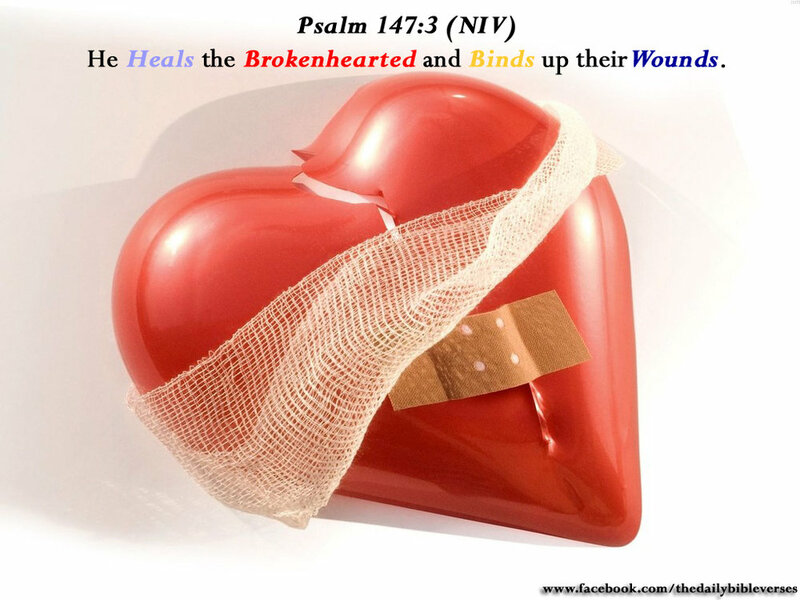 God knows how to heal a broken heart. He healed his own first. 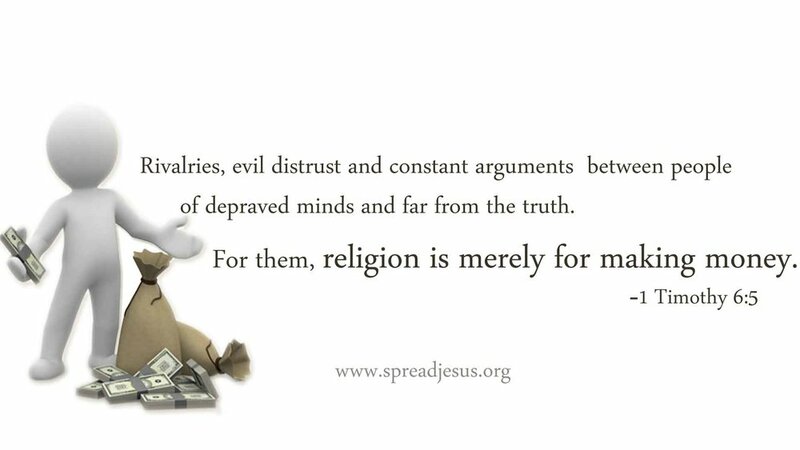 Dear Jesus, I see your brother explaining to us the underlying reasons we have arguments and divisions among us. We are tempted by our vain desire to be right in the eyes of all. We have ambition for being in charge, top dog or simply to have an impact. We want to be right whether we really are or not. It’s humbling to think we are dancing with demons while we are getting angry and firing off at someone we are supposed to love. Oh Jesus, come give me a ride home from the dance. Expose my envy and give me the strength to sweep it out of my heart. Amen. Love wins the person before winning the argument. Dear Jesus, How easy it is for me to see the vanity in others and overlook my own. It was audacious for James and John’s mother to ask that her sons be elevated with you in eyes of the whole universe. But I know deep down that by nature I am the center of my universe too. I value an experience as good or bad by how it serves me and then my closest loved ones. I ponder most often how I can get ahead and not how I can get behind and serve. I want grace and forgiveness for me but too easily withhold it in my heart from others. I’m embarrassed that I want what that mother wanted for her children. Forgive me for wanting to be king of my life and king in front of others. Give me your servant’s heart that is lost in self forgetfulness. Make me a servant today who leaves the selfish brat in the closet. Amen. Hurt feelings and vain boasting are the heads and tails of the coin called self intoxications. Dear Father, Joshua was privileged to see so much. He was always right there with Moses. He was the commander of God’s army in the wilderness as Moses lifted his hands while they fought. He was right there with Moses when he went up the mountain to get the 10 Commandments; no one else was with them. 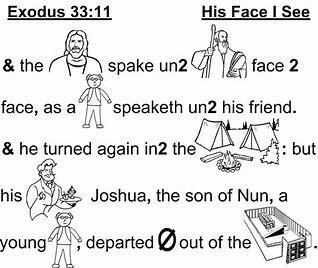 He was right there with Moses when you spoke to him face-to-face, as one speaks to a friend. Joshua saw and heart so much as Moses led the people. I can see what you’re doing, dear Father. You were preparing Joshua to lead the people after Moses was dead. Lord God, you have been doing this in my life. I can’t always see your hand, but I know it’s true. I know it’s true, Father, because that’s the kind of God you are. You are the kind of God who never wastes a moment, who never is without a plan, who always is at work to raise me up to do what you’ve called me to do. You have always prepared me for what is in front of me. In fact, dear Father, you have prepared works for me to walk in today. Lord God, thank you for preparing me for this day, this moment, and this work. Use me today to do those works you want me to do. And, Lord, if there is to be a tomorrow, keep on preparing me for those works you would have me do. Amen. Dear Jesus, I have seen in my own life how my friends have influenced me for good or evil. I remember being led by you to make new friends that would help me in my spiritual life. Please help my children and grandchildren to get the truth of this word, so they will choose good friends that will guide them not distract them. More than anything else, make them your friend by pulling their hearts close to you in devotion and prayer. Open their eyes to see wonderful things in your word for their comfort and spiritual strength. Lead them in the paths of righteousness in every relationship they experience. Amen. One good friend is worth more than a hundred shallow fans. Dear Jesus, Give me this wisdom from above. I cannot produce it on my own. Make me peace loving, considerate, submissive, full of mercy and good fruit, impartial and sincere. Help me see the supreme value of unity and togetherness. 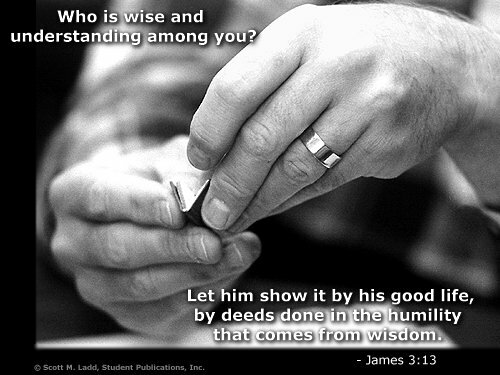 Produce this wisdom between others and me. Make it fun and peaceful for us to live and work together. I want to live in the peaceful fruit of righteousness and help others experience it too. Godly wisdom always heals, always helps, always unites. Lord God, I understand why most of Israel didn’t want to go into the Promised Land. They saw the giants and they were scared. They were afraid of being defeated. They were afraid of being killed. I get it because I am so like this. I look at the so-called giants in my life and I get scared too. I’m not as much afraid of dying as I am afraid of failing. I’m afraid of looking like a fool. I’m afraid of losing people’s esteem or friendship. I’m afraid of all kinds of things and that fear leads me to pull back from doing what I know is the right thing. Lord God, Joshua and Caleb knew that there were things to be scared of, but knew that your command and your promise was bigger than anything else. 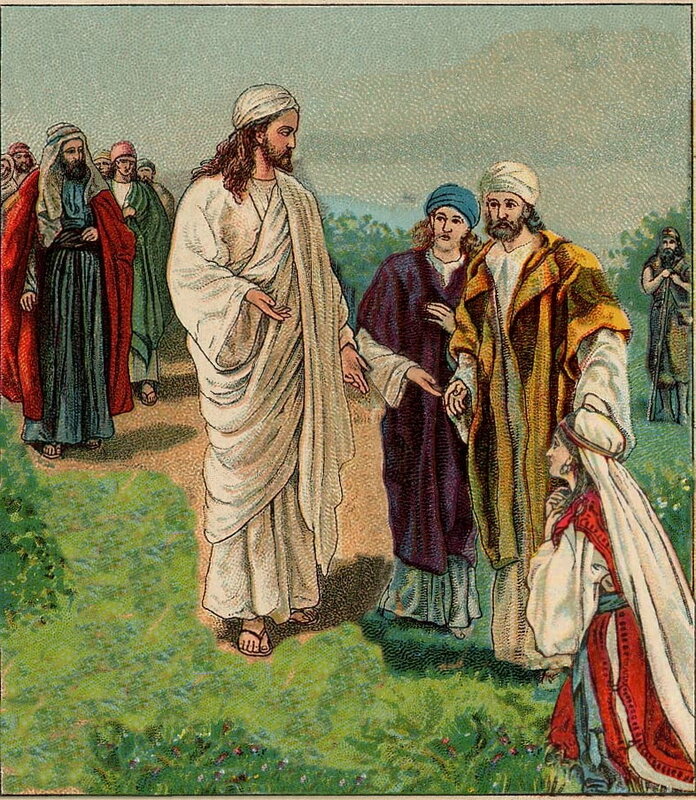 You had commanded them to go in and you had promised to be with them and to give them the land. Fear should not have been on the table because there was nothing to fear; God was going to do hand the land over into their hands. Lord God, you do the same for me. You have given me commands and amazing promises. You have promised to be with me just as you promised to be with them. You have promised to work through me and to work in my life for my good, just as you did here. Lord God, help me to focus my heart on your commands and promises and not on the “giants” that rise up on my life. Teach me that I have nothing to fear because you are near. Amen. Dear Father, Prayer is so powerful! You tell me it is. You teach me to pray and even promise the Holy Spirit to those who ask. You teach me to pray and show that it makes a difference. You saved Lot because of Abraham’s prayer. You gave Hezekiah more life because of his prayer. You withheld rain and you sent rain because Elijah prayed. Lord God, prayer is so powerful. Make me, I pray, a person of prayer. Make prayer one of the first things I do. Make prayer one of the most important things that I do. There is nothing better that I can do my efforts, then to ask you to get involved to do what only you can do. Lord God, dear Father in heaven, make me a person of prayer. Amen. Lord God, When you commission a man and he is installed into your service to serve as a pastor, you assure him that you will be with him and keep him. You pour out your Spirit on him and fill him with a spirit of power, of love, and of self-control. Lord God, when you call a an or woman and they are installed into your service in your church, you assure them that you will be with them and keep them. You promise to equip and enable them to do the work to which they have been called. Lord God, today I pray for pastors, teachers, staff ministers, and all who serve your church. Pour out your Spirit on them. Give them tools and the ability that they need to serve you well. Give them the strength to carry out their responsibilities. Give them wisdom to do the work. And Lord, help me to support them, to obey them, and to follow them. Thank you, dear Lord, for those whom you have given me, for those who serve me with the Word. Support and help them as they work for me. Amen. Dear Heavenly Father, The friendship you created between David and Jonathon is an example for all of us. They had every reason to let jealousy and disappointment separate them. But instead they loved each other as dear friends. They looked out for each other, listened to one another and helped each other make it through life. Make me be a friend like that so I don’t foolishly let my disappointments and desires get in the way of being a friend who can be trusted. Break down whatever selfishness is in the way of a loving friendship. Amen. We must first learn to be a friend before we demand friendship from others.